I am a subscriber of Apple Music and I want to create a movie and need use Apple Music songs as the soundtrack of the movie, is it possible to import Apple Music to iMovie? You may also have the same question when you want to import Apple Music songs to iMovie for setting as video’s soundtrack. Is it possible to import Apple Music to iMovie? For some reasons, the answer is no. If you will try it, you will find that any of your attempts end in failure. Why? Because each of Apple Music songs is DRM-locked, that is for personal stream only. Except for listening, DRM protection will prevent user from using Apple Music songs freely, such as setting Apple Music as iPhone ringtone, importing Apple Music to iMovie for video projects, which brings users with much inconvenience. Luckily, there is a wonderful program comes to help you get the DRM-free version of Apple Music and import Apple Music Songs to iMovie. NoteBunrer Apple Music Converter, an amazing Apple Music Coneverter, which will help you legally remove DRM from Apple Music songs and playlists and convert Apple Music files, audiobooks, or other downloaded music from iTunes or Apple Music to MP3, FLAC, AAC or WAV format. 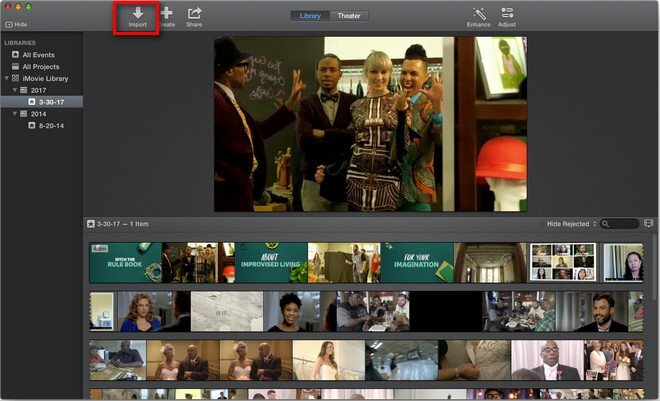 In this way, you can take Apple Music songs outside of iTunes and import it to iMovie for setting as a soundtrack of your video project. 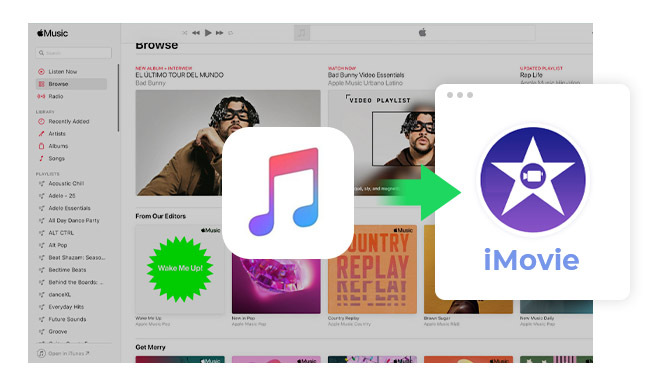 The following is the detailed tutorial to guide you to remove DRM from Apple Music songs and import Apple Music to iMovie for using. Please download NoteBurner Apple Music Converter first before getting started. Click the button "+", then you will see a pop-up window which will show you all the iTunes folders. You can add Apple Music files, audiobooks, and M4P audio in the pop-up window as you want. After the successful adding, the next one is choosing the output format according to your need. Click button on the program interface, and then there will be a pop up window which allows you to set output path and output audio format. WAV, AAC, MP3, and FLAC are available to choose. Step 1: Launch iMovie on your mac, open the movie item you want edit, and then click "Import" to add the converted Apple Music file to iMovie. Step 2: Open the output folder and then choose the Apple Music song from it, and then click "Import Selected". Now, you have imported Apple Music songs to iMovie successfully, the next you need to do is edit the movie item and Apple Music as you want.